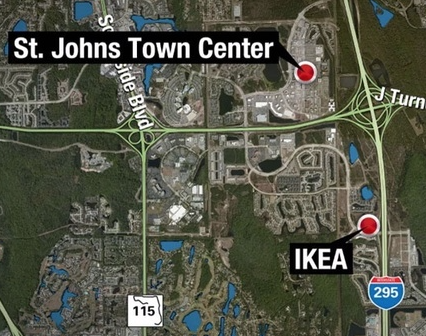 When Does IKEA Open in Jacksonville? IKEA® is opening it's fifth store in Florida. Expanding it's US presence, the popular Swedish retailer IKEA® has broken ground on it's future 290,000 square-foot, 25-acre Jacksonville IKEA store. ​IKEA Jacksonville is opening on November 8, 2017. UNTIL IKEA® JACKSONVILLE OPENS ON NOVEMBER 8TH! Store opening date displayed is purely speculation and subject to routine changes. We gather our information about the store opening date from official IKEA resources available online, news outlets, and on-site visual progress recording. Bookmark this page and check back frequently. This website is for entertainment and informational purposes only and is not owned, operated or in any way endorsed by IKEA®. IKEA is a registered trademark of Inter IKEA Systems B.V. and is no way affiliated with Assembly Smart.